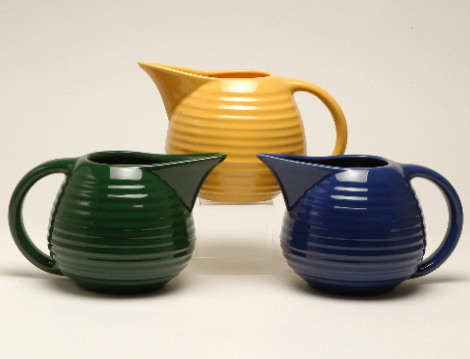 This Catalina Pitcher is the perfect piece for a breakfast beverage, flowers or for placing on display. Holds about 34oz. Burgundy, Evergreen, & Fern Green have been discontinued, however, we may have some items available on our special offerings page. Black, Chocolate Brown, Midnight Blue and Poppy Red are seasonal colors and in very limited supply. We may have some items in stock in these colors. If you are ordering a seasonal limited color, we advise that you check with us for market value and availability before you complete your order.